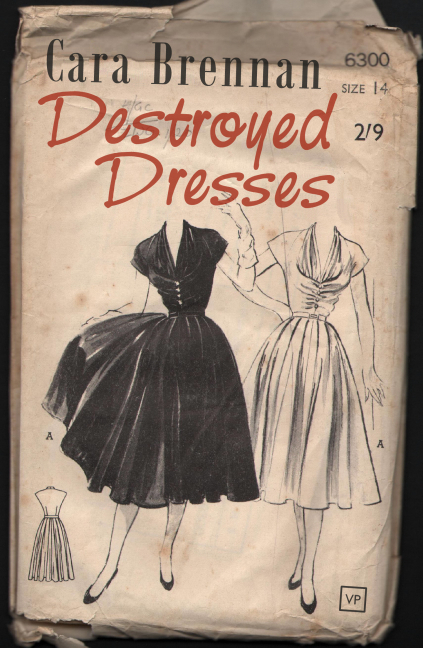 Poetry Review: Cara Brennan's "Destroyed Dresses"
Home » books » poetry » review » Poetry Review: Cara Brennan's "Destroyed Dresses"
Another of my recent review copies on the blog today. I had the pleasure of being given Cara Brennan's debut poetry pamphlet, Destroyed Dresses. Published by Valley Press, the collection 'showcases the finest 17 poems created by the young writer to date'. The collection explores childhood, memories, and growing up, through a series of delicate vignettes that make careful use of the motif of the dress. The first thing to say, is that I genuinely enjoyed reading this pamphlet, and I know I will return to it in the future. Brennan writes with a lightness of touch that brings each poem alive. Whether looking back on her childhood through her 'goldfish bowl window' or musing on new love in poems such as 'Cherry Beer' and 'Wool, Skin, Fur', the collection rings with a voice that is sincere and beautifully self-aware. A gust may take it from me. At once simple and startlingly profound, this is a promising first pamphlet from a poet I am keen to read more from.